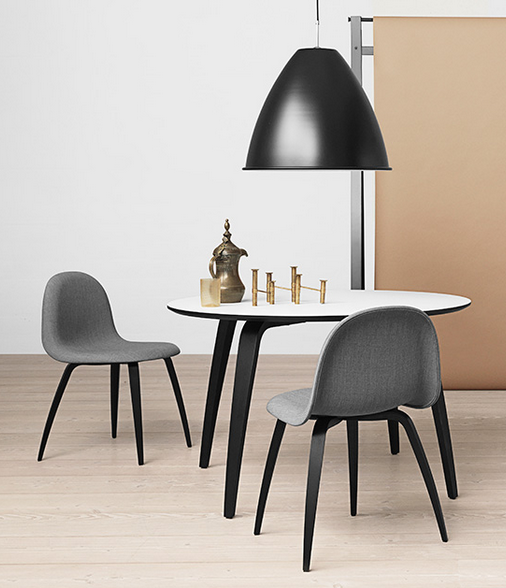 Gubi is rooted in Scandinavia but with a distinctive global outlook - and sense of aesthetics. From the wide range of designs in our search around the world into the past. To our astute eye for spotting enduring designs from new talents. It's all reflected in our expanding portfolio of styles appealing to an international clientele. Their uncanny ability to recognize diamonds in the rough along with original ideas and inspirations have also resulted in a unique collection of exciting new designs worth coveting. We have forged creative collaborations with emerging designers who challenge our assumptions about form and function. Each new design has an equally intriguing tale to tell, appealing to individuals who dare to take the road less traveled. A strategic move that reflects our insatiable desire to venture out into the unknown.